Getting and keeping illegal guns off our streets is fundamental to New York’s public health and safety. In 1990, there were more than 2,000 murders in our city. In 2017, there were fewer than 300. Every day, we work proactively to drive Manhattan’s record-low gun violence even lower. In addition to holding those who commit gun violence accountable, we proactively target major gun traffickers who import thousands of illegal guns each year. 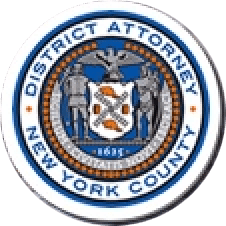 District Attorney Vance created our Violent Criminal Enterprises Unit to lead these prosecutions with a special focus on disruption of illegal trafficking of guns into New York City. Since 2010, our proactive investigations have led to the removal of more than 1,800 guns from New York City streets. DA Vance is the co-founder of Prosecutors Against Gun Violence and a recipient of the Giffords Law Center’s Courageous Leadership Award. Strong state gun laws are under attack. Legislation which recently passed the U.S. House of Representatives would require every state – including New York – to let people from states with weak gun laws carry concealed firearms while they are visiting. The Concealed Carry Reciprocity Act (CCRA) would make any state-issued permit or privilege to carry concealed weapons valid everywhere – undermining public safety in some of America’s most celebrated neighborhoods and tourist attractions. Our Office is working to defeat the CCRA in Congress, and if necessary, we will defeat it in the courts. We’re proud to work with the NYPD, the International Association of Chiefs of Police, the Major Cities Chiefs Police Association, and the Police Executive Research Forum to stop CCRA. After the school shooting in Parkland, Florida, DA Vance and members of our Office joined the March For Our Lives in Washington D.C. and in New York City to speak out and support the incredible young activists who emerged from the tragedy. In order to continue amplifying those voices long after the March, our Office created a Gun Control Advocacy Fellowship for young activists who have been affected by gun violence in their schools and communities. In the summer of 2018, three of these young people joined our office and organized young New Yorkers to fight for strong gun laws. We work within our communities alongside partners like the NYPD, Harlem Mothers S.A.V.E., 100 Black Men, Inc., and Thrive Collective to provide educational resources, trauma-informed programming, and community events aimed at preventing gun violence. This summer, we hosted the first-ever Art of Healing festival featuring activities intended to help heal the trauma of gun violence through the creative arts, including live music and spoken word performances. And, we regularly host gun buybacks with our partners in the NYPD, taking more than 140 guns off the streets in recent years. In July 2018, the State Department announced that it would allow unlimited online access to schematic designs that enable 3D printing of untraceable guns. In a complete reversal of longstanding regulatory oversight, it decided to provide a special exemption to Defense Distributed to post its gun blueprints online. DA Vance, along with Prosecutors Against Gun Violence co-founder LA City Attorney Feuer, released a statement urging Secretary of State Pompeo to intervene and #StopDownloadableGuns. 3D-printed “ghost guns” undermine the critical public safety laws that prosecutors enforce day in and day out.